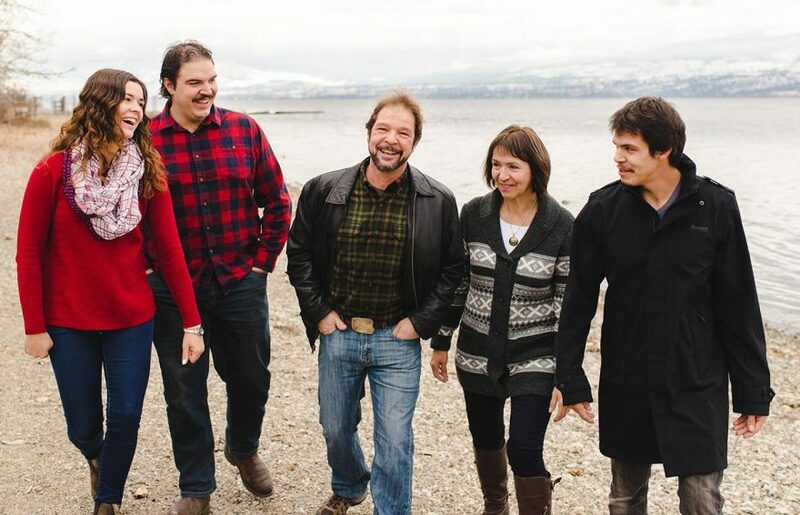 Kanoe People Ltd is owned and operated by Scott and Joanne McDougall and family. 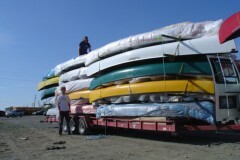 It is the longest established wilderness outfitter operating in the Yukon and has been providing expediting services to wilderness travelers since 1974. 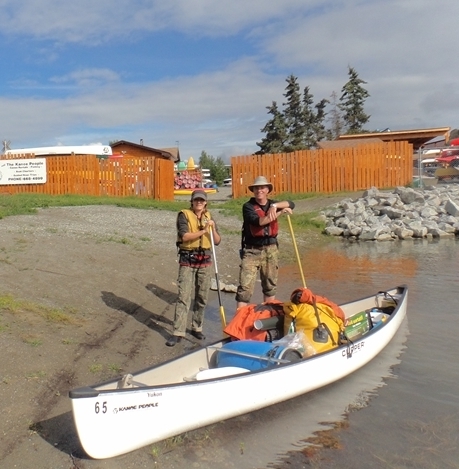 They have recently added Fox Bay Retreat on Lake Laberge, a rustic, off-the-grid wilderness camp to their available services. 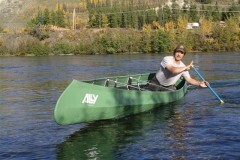 This is an all season facility is a wonderful place to experience some true Yukon wilderness hospitality. 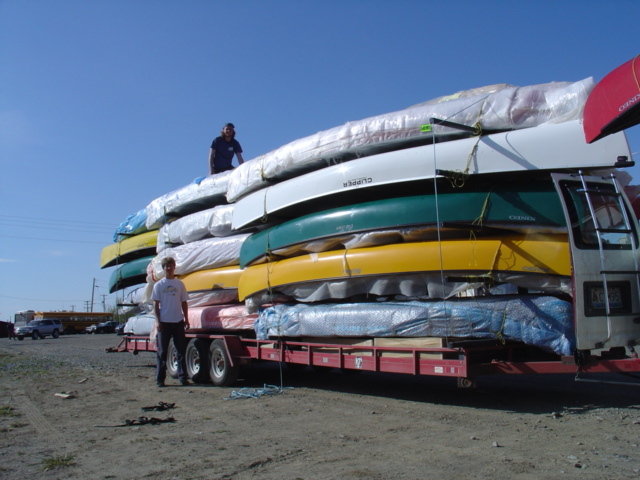 We rent and sell canoes, kayaks, boats, outboard motors and camping equipment of all sorts. 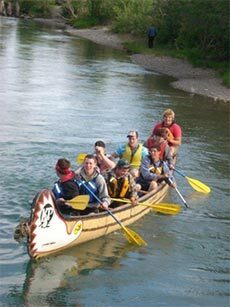 Under the midnight sun of summer we can take you on a super guided river trip. Under the stars and Aurora of a winter night we can take you on a breathtaking snow ride across the pristine expanse of famous Lake Laberge. Scott and Joanne along with their friendly staff, offer you quality service with a personal touch. 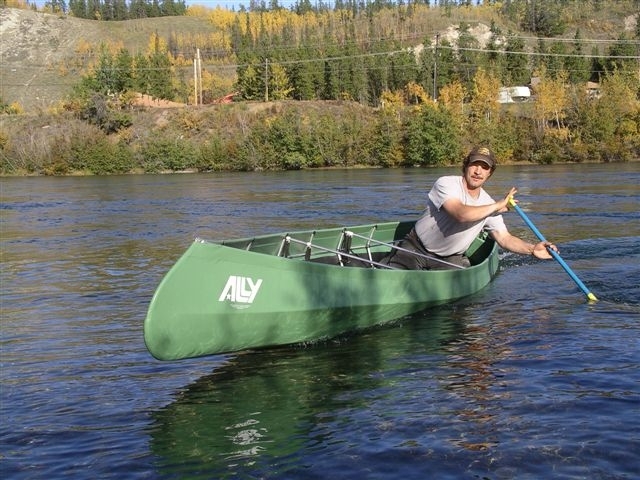 With their intimate knowledge of the Yukon, they are able to help you plan the adventure of a lifetime. Whatever your interest, you will find it in these pages. 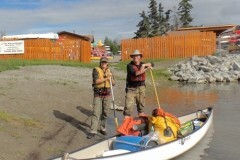 On bank of the Yukon River. © 2019 Kanoe People Ltd.